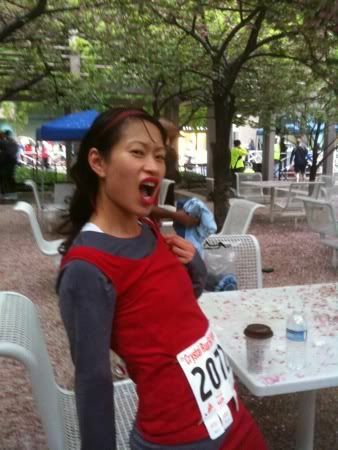 I ran my 2nd race on Friday, a 5k in Crystal City. If I had run this 5k first, I would never ever have run the 10 mile race. 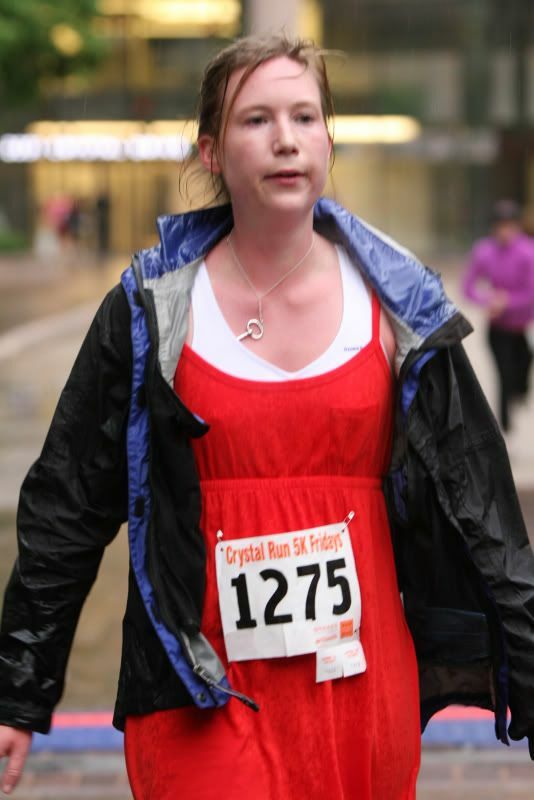 The 5k seemed harder, for some reason. It was raining the whole time. 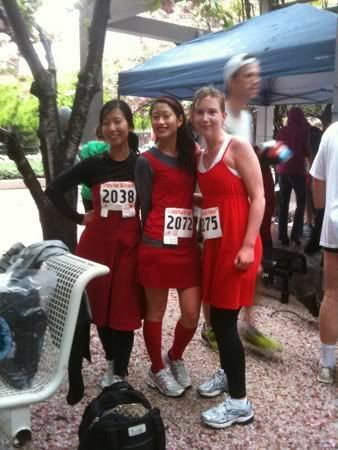 I stomped in puddles, with my $6 Forever 21 red dress purchased for the Red Dress Run hidden behind my raincoat. Plus the pace was so much faster and I am not a fast runner. A fat Labrador wearing a red t-shirt passed me at one point. Here's me looking sad in a pic posted with my results (29:09 minutes, way better than my high school gym class 11 minute miles). In the end, I was glad I tried it and finished. Phew! On to the next. Posted in DC and tagged with Crystal City 5K Friday, Running. April 25, 2011 by Adele Chapin.